I guess the recently announced Beardmore Park will wipe out any evidence of this that might be left. I've only dug up a couple of references to the original stadium, 1947 and 1928, when an impressive 40,000 attended a boxing match featuring Tommy Milligan http://www.kazan3.freeserve.co.uk/tommymilligan.htm"
There's nothing left in the area to the south of Myreside Street, where local maps show the stadium was directly at the side of the road. A flat grassy area with a pristine and apparently unused red shale playing field lies there now, next to a lower area with flat foundations. The most interesting part may be in Duke Street. Through the rail bridge leading away from the Forge, there is an interesting single entrance that may have served Carntyne Stadium in its heyday. Little else survives to suggest its purpose, and a later sign over the arch section has been lost to reveal the word CARNTYNE painted over the entrance. There are few more pics at http://www.geewiki.de-soft.co.uk/pmwiki ... yneStadium but the area isn't particularly conducive to loitering in with a camera. Once again, revealing of changes in social habits that a venue that could attract 40,000 could be wiped away practically without trace. As ever, anyone have any info or memories? Last edited by crusty_bint on Sat Feb 12, 2005 7:21 pm, edited 1 time in total. 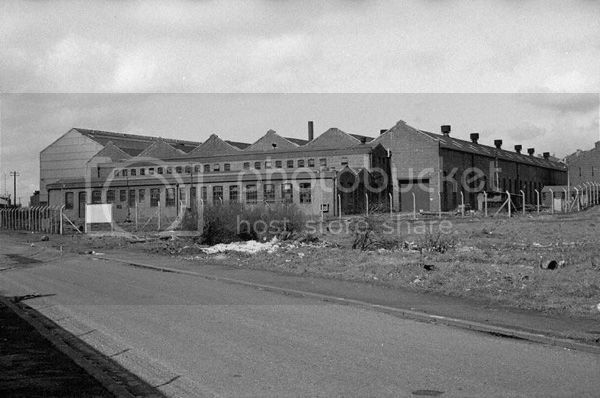 Cool pics crusty, intriguing to see the taller building behind the armaments depot, still there though now abandoned. 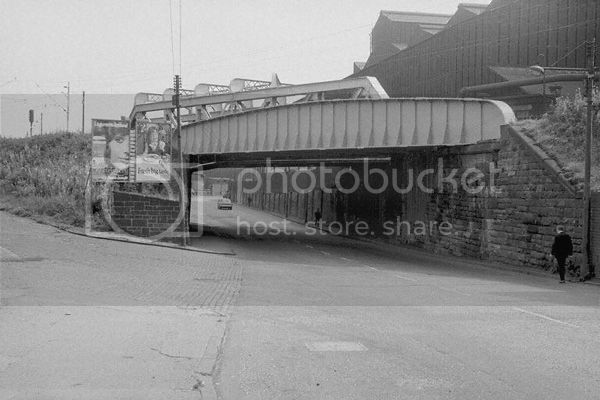 The second pic through the bridge is actually taken from in front of the entrance I showed with CARNTYNE painted at the top, and the third shows where I took the longer shot from across the road under the billboards. Bit of a double on the last pic, but now I know what the broo building really was now. Last edited by Apollo on Sat Feb 12, 2005 7:26 pm, edited 1 time in total. I see what you mean about the bridge pics (I was looking at them from the wrong direction), fixed that pic now. love the billboards - 2 for fags, 1 for matches + another I can't make out. 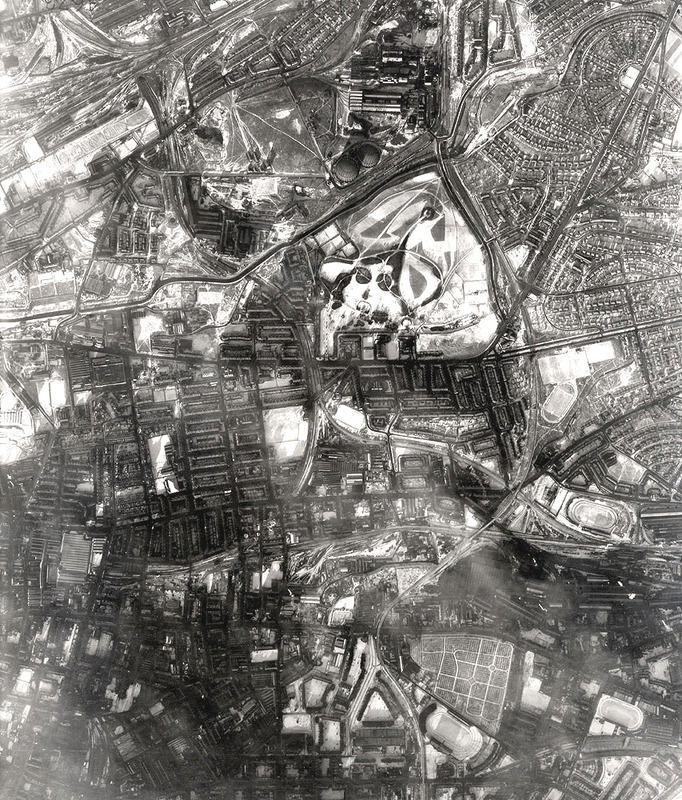 Stumbled across this 1959 aerial shot, courtesy of the RAF. The stadium is the larger of the two on the centre right of the image. Compare with Celtic Park, right of centre, bottom. Lots more interesting comparison of the area as it appeared before Parkhead and Beardmore works were replaced by 'The Forge' retail areas. Last edited by Apollo on Wed Feb 23, 2005 11:02 pm, edited 1 time in total. the Monkland Canal passes over the Springburn-Bellgrove railway? Is that stadium still in use as a football park? kokotheclown wrote: Is that stadium still in use as a football park? Apollo I cannot verify for certain that the arch on Duke Street was the entrance to the race track. 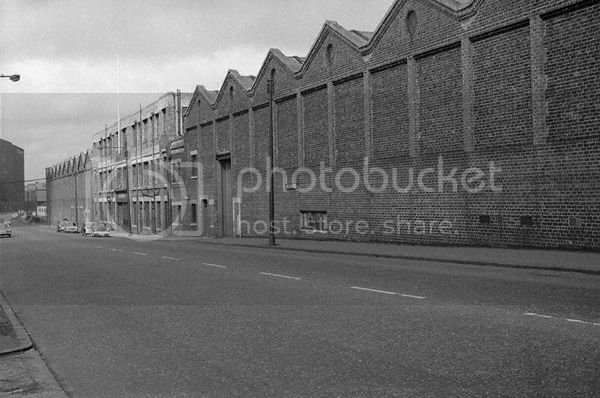 However, I can just about recall as a wee boy (earyy sixties) several times being taken down the road by the arch and seeing hundreds of working class guys going up through the arch to 'the dugs'. 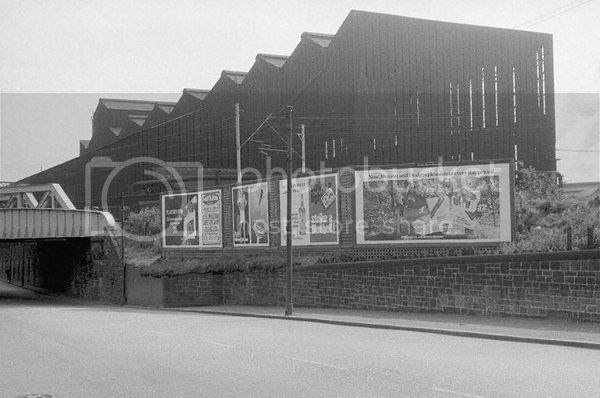 Another feature was the-then illegal bookies with their chits strung up on the nearby fencing. I also notice some similarities in the sub art-deco features on the arch and the much-lamented lost arched gateway to Shawfield stadium which would have been running dog racing at the same time. Thanks for the gem escotregen. I wasn't to sure about that entrance myself, but it seemed a fair guess as nothing else interesting has surfaced about the spot. Having seen the RAF 1959 aerial shot, it's very difficult to match features in it to the old streetmap I am using, even though it's only produced in the 70s. Despite plenty of publisher's copyright notices, none carry a date, so the only clue is the price, a post decimalisation £1.50. The path can be seen in it though, provided you can spot the two railway bridges it runs between. With reference to the arch shown at Carntyne. in 1965 and 1966 I was employed on race nights putting the dogs into the starting traps and then removing the traps from the track to allow the dogs an unimpeded final straight.At that time the standard race distance was 525yds. The arch shown was located at the entrance to the stadium and allowed access to vehicles and a number of invalid cars. I thoroughly enjoyed my time working there and saw some great dogs, Berwick and Dusty Trail being two of the best at the time. We were just about to leave school and I often wonder what became of the guys who worked there with me at that time. Frankie Rolland, Kenny Allan, Tam Hill, Raymond Downie and Sam Conway who was older than us. We were paid a shilling a race for the 8 races and an odd time there would be two extra which gave us an extra two bob. 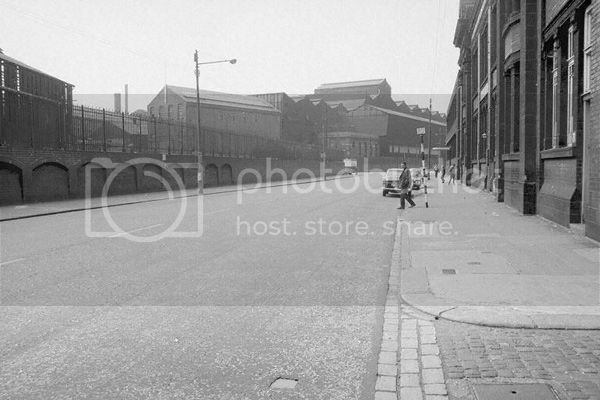 You can also see a stretch of it sandwiched between Provan gas works and the canal. drive your car round the track. Brian Hoskins(?) ran it I think. raced greyhounds at Carntyne and the "Mount". Mount Vernon.